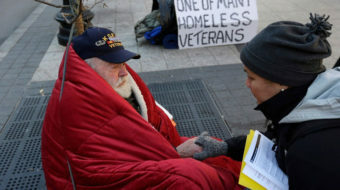 In 1995, in Chicago, veterans of Silver Post No. 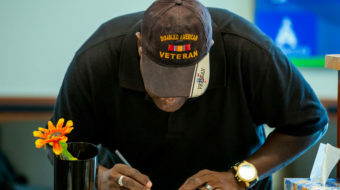 282 celebrated the 50th anniversary of their victory over Japan, marching around a catering hall wearing their old service caps, pins, ribbons and medals. My father sat at his table, silent. 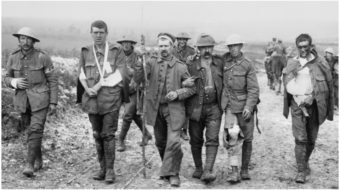 He did not wear his medals. He had given them to me 30 years earlier. I can figure it exactly: March 8, 1965. That day, like every other, we walked to the newsstand near the dime store to get the L.A. Times. He was a Times man. Never read the Examiner. He looked at the headline: U.S. Marines had landed on the beach at Danang, Vietnam. As a kid, I was fascinated by my dad’s medals. One, embossed with an eagle and soldiers under a palm tree, said “Asiatic Pacific Campaign.” It had three bronze stars and an arrowhead. My father always found flag-wavers a bit suspect. But he was a patriot, nurturing this deep and intelligent patriotism. To him, America stood for Franklin D. Roosevelt and the Four Freedoms. My father’s army had liberated Hitler’s concentration camps and later protected Martin Luther King’s marchers on the road to Birmingham. His America put its strong arm around the world’s shoulder as protector. On the back of the medal, it read “Freedom from Want and Fear.” His victory over Japan was a victory of principles over imperial power, of freedom over tyranny, of right over Japan’s raw military might. We have no bombers to attack with … But Eagles, American Eagles, fight for the rights we adore! “That’s it,” he said that day in 1965, and folded the newspaper. The politicians had ordered his army, with its fierce postwar industrial killing machines, to set upon Asia’s poor. Too well read in history and too experienced in battle, he knew what was coming. He could see right then what it would take other Americans 10 years of that war in Vietnam to see: American bombers dropping napalm on straw huts, burning the same villages Hirohito’s invaders had burned 20 years earlier. Lyndon Johnson and the politicians had taken away his victory over Japan. They stole his victory over tyranny. When we returned home, he dropped his medals into my 12-year-old hands to play with and to lose among my toys. A few years ago, my wife Linda and I went to Vietnam to help out rural credit unions lending a few dollars to farmers so they could buy pigs and chickens. On March 8, 1995, while in Danang, I walked up a long stone stairway from the beach to a shrine where Vietnamese honor their parents and ancestors. Greg Palast (palast@gregpalast.com) is the author of the bestseller “Armed Madhouse” — dedicated to his parents, Gil Palast (716th Tank Battalion, Philippines) and Gladys Palast (U.S. Coast Guard, Boston). 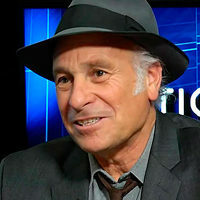 Greg Palast, a Puffin Foundation fellow in investigative reporting, is the author of the New York Times bestseller, "The Best Democracy Money Can Buy," now a major motion picture.